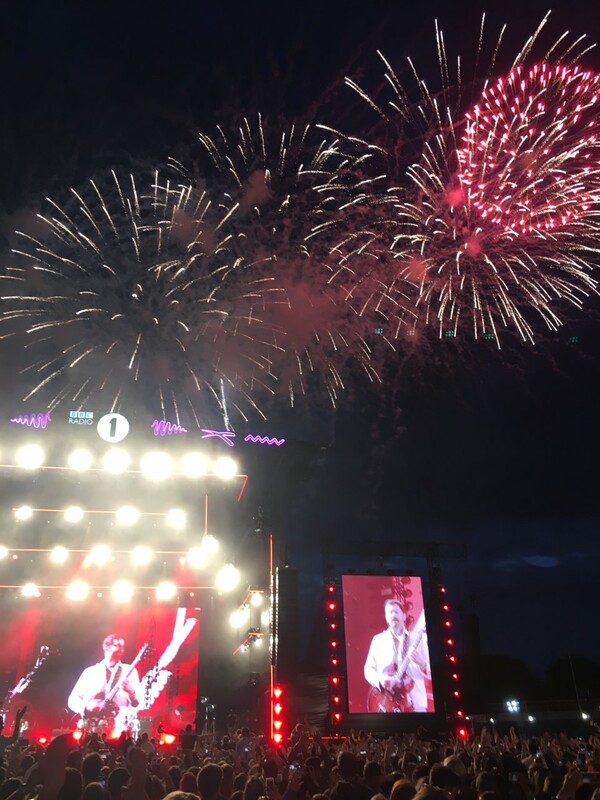 Over the past few years I've tuned into listen/watch coverage of BBC Radio 1's Big Weekend. However, this year I didn't have to just listen through the radio or watch on TV as my boyfriend managed to get us tickets for the Sunday. Yesterday was festival day! We headed to the festival (what we believed to be) reasonably early, however neither of us realised that the transfer bus was going to take quite so long. After arriving at the festival site (Burton Constable Hall) we joined the already very lengthy queue of people waiting to enter the festival. We were waiting in the queue for well over an hour, an unfortunately that meant that I missed Little Mix perform (gutted!) However, I am very thankful for the extra security precautions that were taken & the bottles of water which were handed out to us whilst we were waiting. Once we gained entry to the festival we headed straight to the 'Where It Begins' stage to watch Blossoms perform. I'd not had the chance to see them perform live before and I definitely wasn't disappointed! After Blossoms had finished their set we spent some time sat in the Sun, eating pizza & listening to some of the 'Main Stage' acts. At 3pm there was a minutes silence to remember those affected by the Manchester disaster, which I thought was a fitting tribute. There were also tributes from each of the artists I saw perform, all of which were very moving. 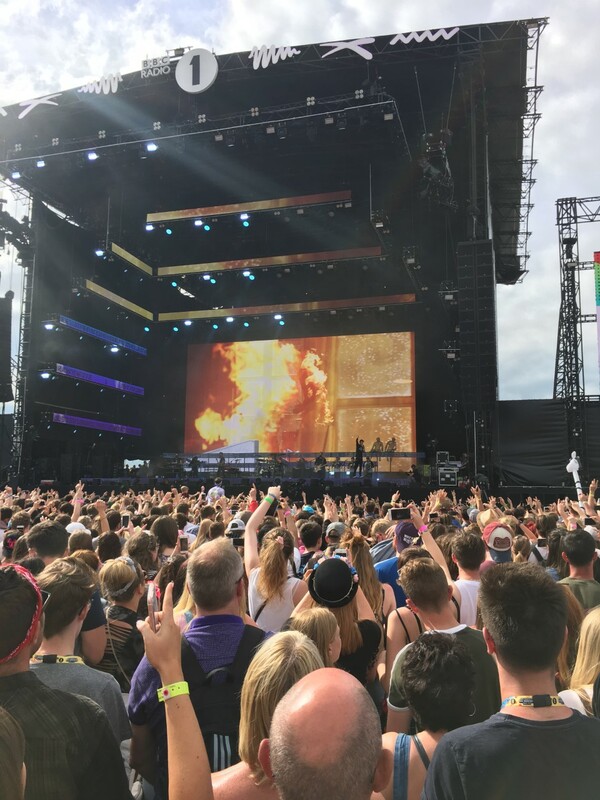 A little bit later on Sean Paul took to the stage followed by Bastille (who were my favourite performers of the day). I forgot just how much I liked Bastille's music! 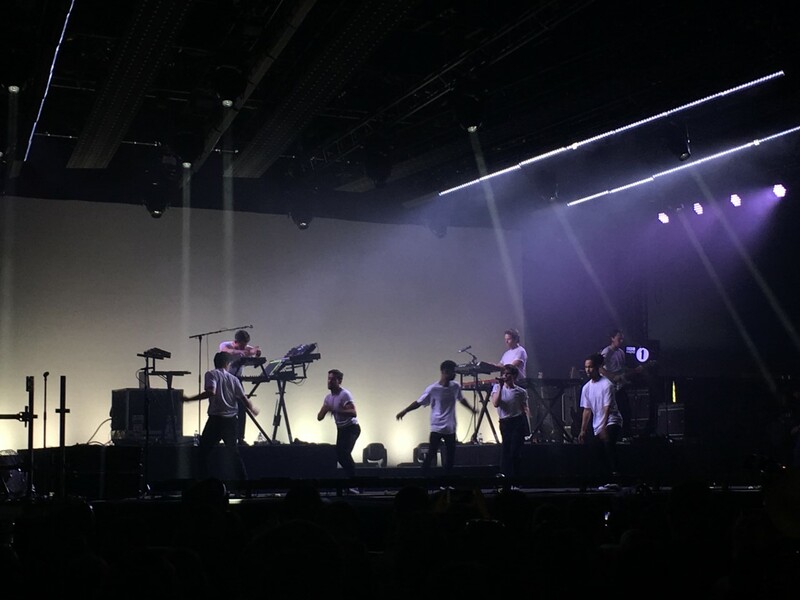 After refuelling it was just about time to head back to the 'Where It Begins' stage for Christine + The Queens (who put on an incredible performance) followed by Alt-J. We then headed back to the 'Main Stage' and managed to catch some of the Clean Bandit set before Sunday's headline act, Kings of Leon. The atmosphere during Kings of Leon was amazing, and as they played their final song we were treated to an epic firework display. After the tragic events of the past week I felt worried about heading to the festival. However I'm determined not to let terror win so I still went to the festival. I'm glad I did because I had a flippin' good time. Did you go to Radio 1's Big weekend? Who was your favourite act?